In conventional electronic devices, electricity requires the movement of electrons (blue spheres) and their positive counterparts, called holes (red spheres), which behave much like the gas molecules in our atmosphere. 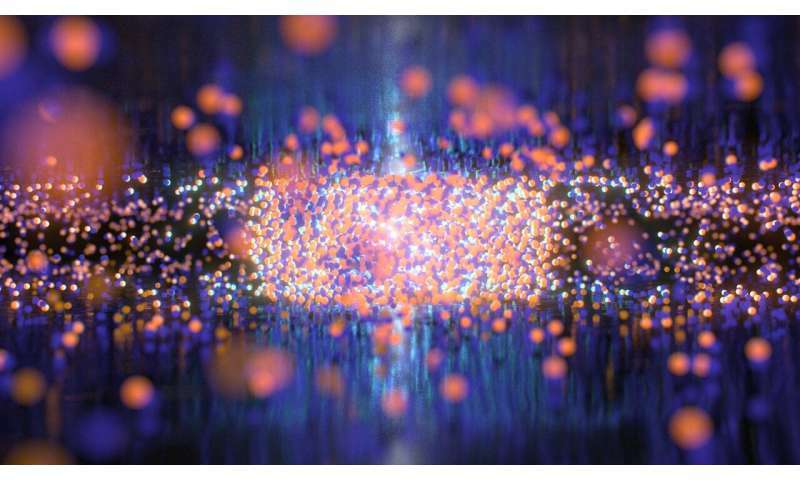 Although they move rapidly and collide infrequently in the gas phase, electrons and holes can condense into liquid droplets akin to liquid water in devices composed of ultrathin materials. Credit: QMO Lab, UC Riverside. By incorporating advanced imaging techniques with data intensive strategies developed by UC Riverside students working with NASA's Jet Propulsion Laboratory, a new type of microscope has been developed that allowed the first observation of an electronic liquid at room temperature. Credit: QMO Lab, UC Riverside. 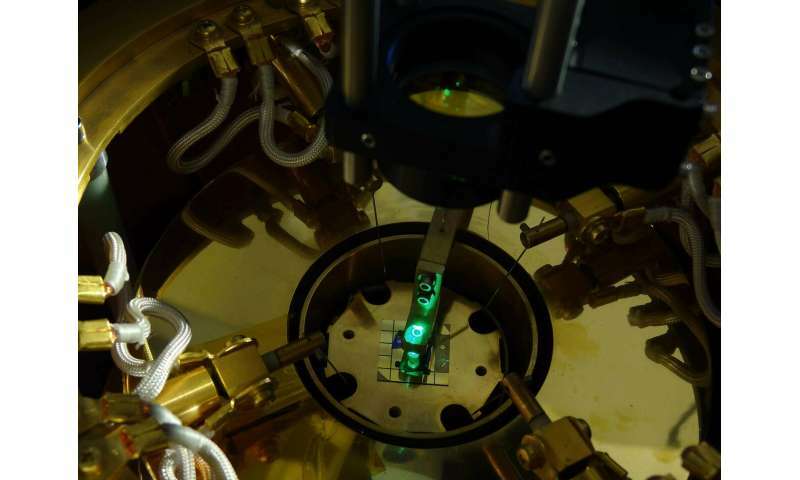 "We were turning up the amount of energy being dumped into the system, and we saw nothing, nothing, nothing—then suddenly we saw the formation of what we called an 'anomalous photocurrent ring' in the material," Gabor said. "We realized it was a liquid because it grew like a droplet, rather than behaving like a gas."